Cabzilla The Great. With hundreds of satisfied customers we have one of the best experiences with a impression that lasts forever. With new vehicles updates every couple of years insures customer on getting to where ever you need to without any fuss. Why not fill in the inquiry form & see if you could be pounds better off with us. You have tried the rest but we are simple the best for Quality, Value & comfort. The areas we cover include Manchester, London, Blackpool etc. One of the Manchester Leading Minibus Hire service offering minibus and coach hire with reliable and professional driver for all parts of Greater Manchester Minibus service from Manchester to all parts of the UK and other Countrues .Cabzilla offers great reliable services for minibuses and coaches of all sizes with a fleet Taxi from 1 passenger to 06. Then we have the minibus range that starts from 08, 09, 12, 14 & a 16 seated minibuses. Mincoach range starts from 21, 24, 33. Coach size range starts from 39, 43, 49, 53, 59 or rather fancy our biggest of all the 70 seated double decker. Cabzilla offers 16 Seaters Minibuses to Manchester Airport Transfer and Taxis as well as many major Airports & Seaports. 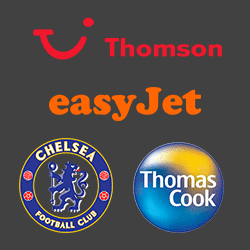 Looking for a Taxi, Minibus, Coach transfer for your next reliable journey requirement? We have a fleet ranging from small to large and varied fleet of vehicles with Standard, Executive, Luxury. Therefore Contact our team for a no obligation quote by the quote form on your right or call Free (from Mobiles) : 0333 577 0557 for a free journey quote. Cabzilla, is a premier Manchester based taxi, minibus coach supplier that provides great airport transfers serving the whole of the U.K.
Book Your Manchester Airport Minibus transfer online today we are giving upto 10 percent off on all airport transfers.